Many Styles. Master your instrument to unleash your imagination and play what you hear. If you wish, gain a formal foundation, augment Home Schooling or just plain have fun. put you in control of the instrument so you can play what you wish. 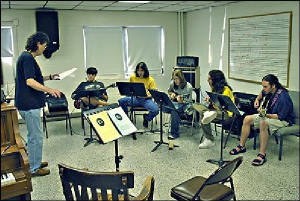 Personal Statement: Each lesson is tailored to the individual, to become a total musician. The main goal is to give the student a "Tool Chest" of capabilities which can be used for many styles of music and enable the student play the music they hear in their head. With this "Tool Chest" the student can build any kind of "House" they wish. The pace is geared to the students liking. We can go leisurely or jump into the triple fast lane. Often I help students learn "survival guitar" i.e. how to be less embarrassed on stage. And.. for the very serious who wish to burst through plateaus and jump levels...I offer"THE PRICE OF SURVIVAL IS CHANGE". I have been delighted to see some of my students go on to Berklee College of Music (Boston), Univeristy of North Texas (UNT), Musicians Institute(Hollywood), Belmont (Nashville) and our regional Universities. into aggressively paced music programs. I have worked with a significant number of adult professional musicians and helped them realize goals and achieve a much deeper command of musical fluency. now brought to you on a silver platter. Jazz Guitar done right, along with many other styles. Available for Clinics or Lessons. Specializing in Jazz, Music Theory and modern music of all kinds. A. The pot into which all types of music are stirred, with few steadfast rules, delivered with deep emotion. B. Based on much improvisation. C. Those are the only factors, except for some standard vocabulary and harmony ideas (no need to reinvent the wheel completely.....round "tires" still tend to roll best). Harmonic responsibility is a good thing. "Jazz Guitar is my deepest passion, second only to Jazz musicianship." Suggestion: Remember, The use of Space (the Final Frontier!) 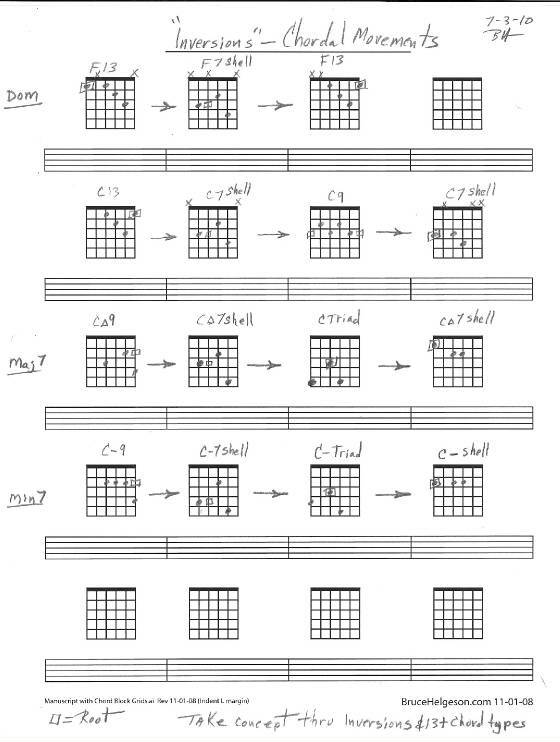 works magic in your Compositions and Solos. The most important notes you ever play...are the ones you Don't play. Always remain "honest with yourself" in your playing and your music. (If you've ever played on stage I think I think you know what I mean.) It tends to reinforce responsible sure growth. -Things which matter most must never be at the mercy of things which matter least. -Help wipe out Amorphous licks. Limited beliefs yield limited results. Repeat Signs following a D.S. or D.C.are not used.